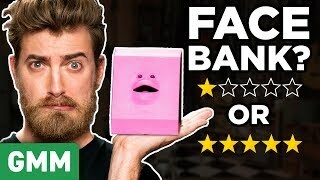 I was genuinely surprised when Link bit directly beside where Rhett bit. Remember how bad those “4 segment episodes” were? Is anyone else bugged by how they say Reese's? No idea what Swedish Fish are! Link, I am slightly confusion. Who on God’s green earth don’t like candy corn ? In my opinion Link should have dressed up as Link from Legend of Zelda.... Missed an opportunity there! If you do these hacks for Halloween, you'll be getting insulin for Christmas. They did this yesterday too they both had the same costume yesterday was halloween by the way. 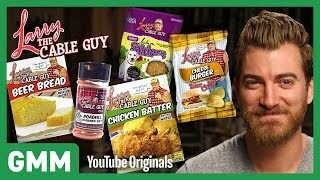 Good Mythical Munchies, with Rhett and Link! This is like watching a cooking show! A funny one at that! 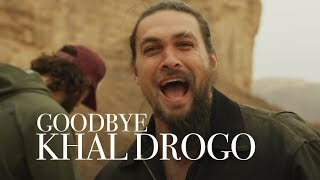 was link thinking of " mosaic"
Why is everyone saying that this is the last good episode? Why couldn’t Link be Mario? 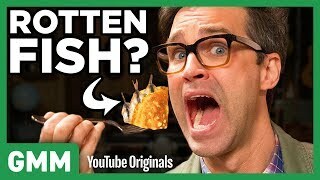 Did anyone else hear Rhett say, “You hush puppy, and eat it”? Gah! Y'all didn't warn us about the Undertale fans! I am proud of them for making a Halloween razor candy joke. I love candy corn so much I poop it out. Please be link from zelda next halloween! I’m zombie Micheal Jackson for Halloween!! 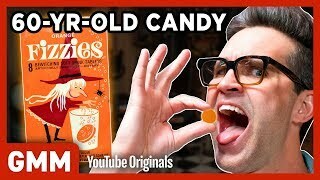 Link you got it backward, anyone who is normal likes candy corn. They couldnt decide who to be mario. does everybody just have fryers now? Why be Mario when you can be Diabeto? 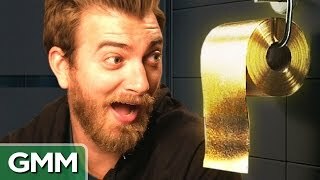 UNDERTALE MADE IT TO GMM!!!!! I love the people doing the Sans cosplay!!!!!!!!! 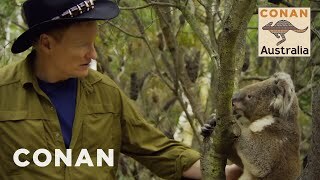 My teeth hurt after just watching this episode. F***ing can’t stand Neal’s mouth sounds. Instead of pipe hitting, pipe as rolling pin?